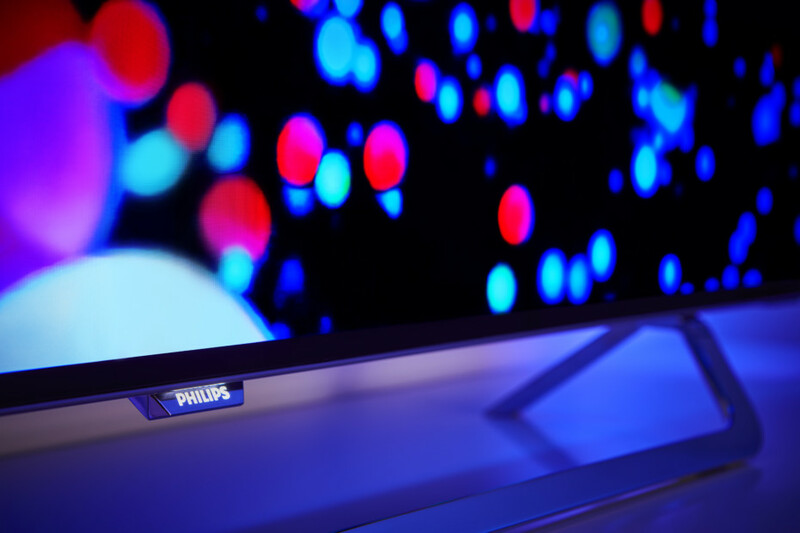 Philips has taken OLED and spiced it up with its ambient light Ambilight . The result is a TV with a picture experience out of the ordinary. The Ambilight enhances the experience on an already excellent TV. The contrast stands out throughout the room! 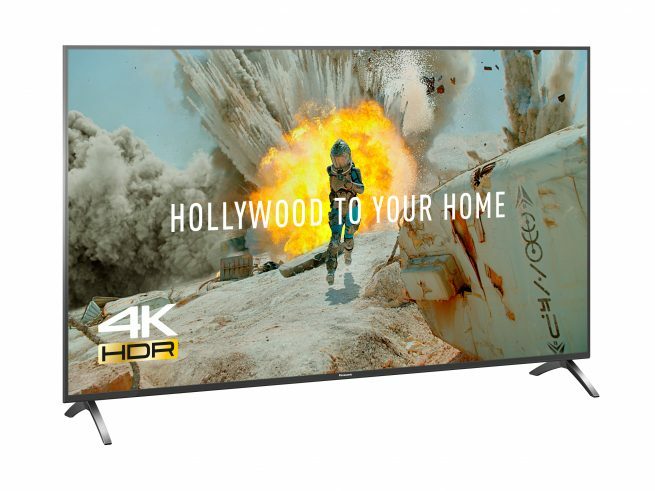 The Philips monitor must do without Dolby Vision, perhaps the best HDR format. 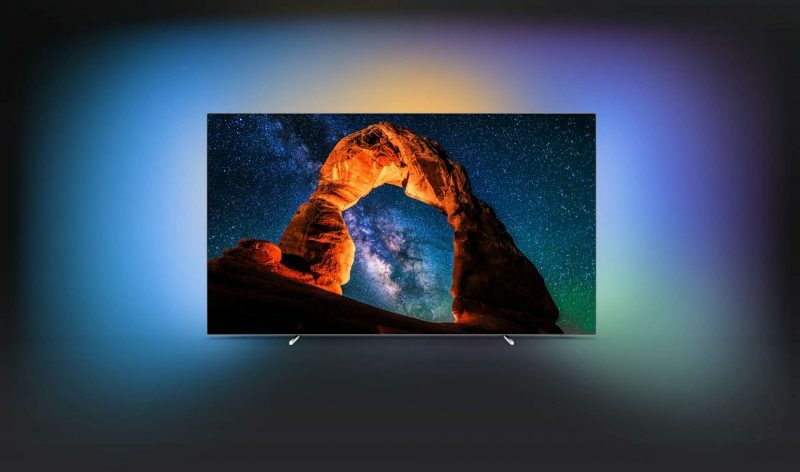 What primarily distinguishes the new Philips 55POS9002 from the competition is the patented Ambilight that lights the back wall with the same colours you see on the TV screen. This gives a contrast-enhancing effect that can definitely boost your experience of the picture by several notches. It will be extra exciting to see how this works in combination with OLED! 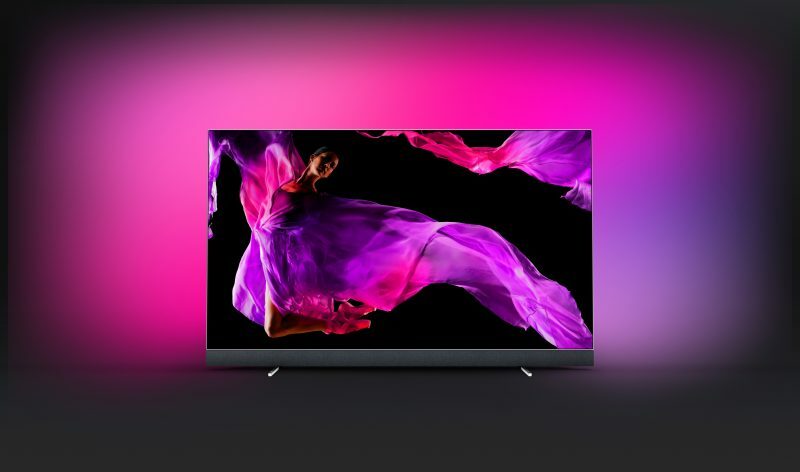 Philips launched its first OLED (55POS901F) already in the autumn of 2016, but it took another few months before it appeared in the stores. And before we got to test it, Philips launched a new, less expensive OLED model! The newcomer is priced considerably lower than the previous model. 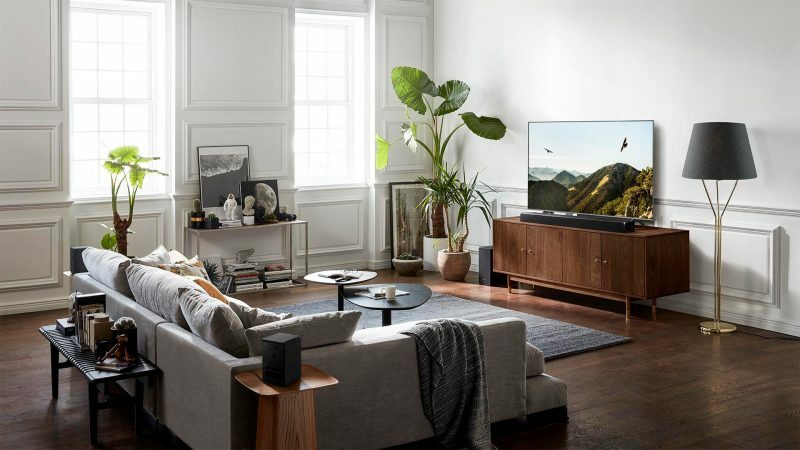 Philips has managed to trim the cost by removing the advanced 6.1 “soundbar” from the 901 and replacing it with a somewhat simpler sound system. At the same time, the picture panel, image processor and processing power have been upgraded to the 2017 level. As mentioned, the 55POS9002 is a trimmed-down model, but the design does not seem to have suffered from it, quite the contrary. We are dealing with a sleek and wonderful screen. 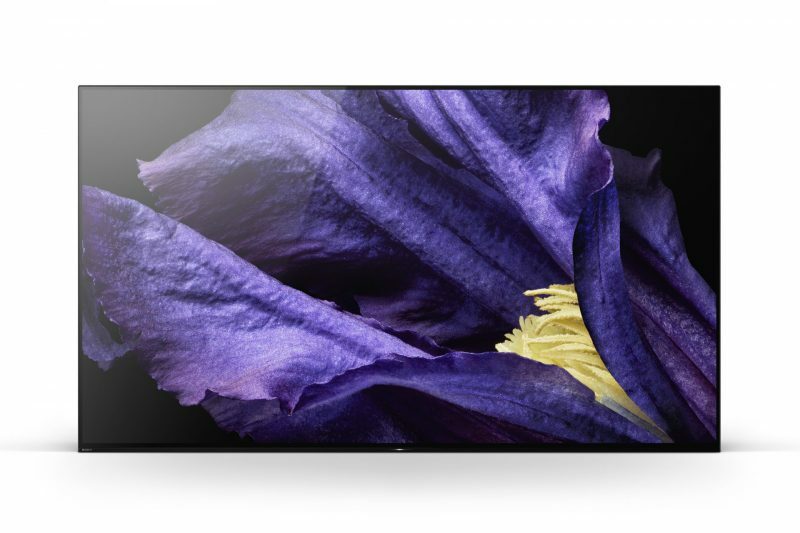 The thin, dark metal framing is actually somewhat reminiscent of LG’s B7 model. However, the Philips TV stands on its own original, curved base, and the rear is somewhat different from LG’s. In addition to the many Ambilight LEDs, we note an additional subwoofer in the middle, flanked by connections on the left side. 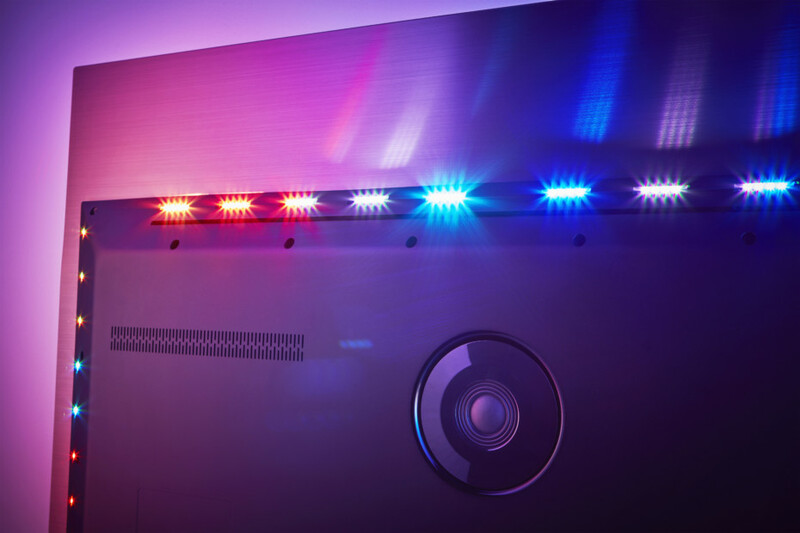 The light from Ambilight is created by small LED light sources on the back of the screen. 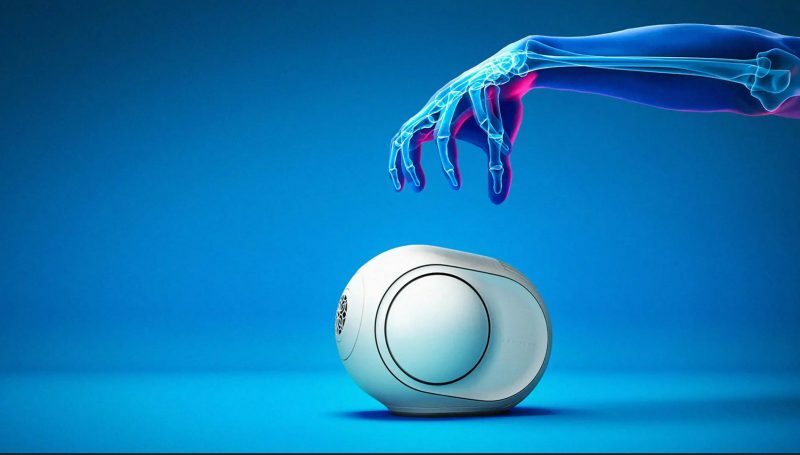 For several years, Philips has been an avid Android supporter. This year’s model still runs Android 6.0, but an upgrade is expected during the year. Android has its strengths and weaknesses, and one has to live with the fact that its usability is not entirely on par with LG and Samsung that run their own, proprietary systems (WebOS and Tizen). The main content menu is not as well presented and is dominated by Google’s own services. Google Play Store gives you access to thousands of apps and games, but not everything is as well-suited to Nordic users. Compared to Samsung’s brilliant, simple remote control, for example, Philips’ remote control has an outrageous amount of buttons. A keyboard on the back makes it easy to enter passwords and words in the search box and the like. Otherwise, the keyboard is mostly in the way. The back button on the remote control is not always consistent in the way it works. It feels like we have seen this before, and we look forward to Philips equipping their TVs with a more minimalist remote control. We are dealing with a genuine OLED screen: Philips uses the picture panel from the LG Display and therefore is in the same category with Sony, Panasonic and others that “borrow” the technology from LG. The difference is in the image processing and of course Ambilight, which is unique to Philips. Philips has been fond of powerful image processing, which optimises the picture in the most thorough manner. Advanced algorithms are applied to sharpen the details, make the colours stronger, and provide smoother motion. This undoubtedly produces very contrastive images with a high wow factor, but from a purist’s standpoint it may seem somewhat excessive. How red does that Ferrari really need to be? Fortunately, the 55POS9002 is equipped with a variety of picture modes, so the rendition can be adapted to the one you like – including one’s own movie mode with minimal extra spice – ”as the director intended”. We preferred to use this when we were assessing the pictures critically. 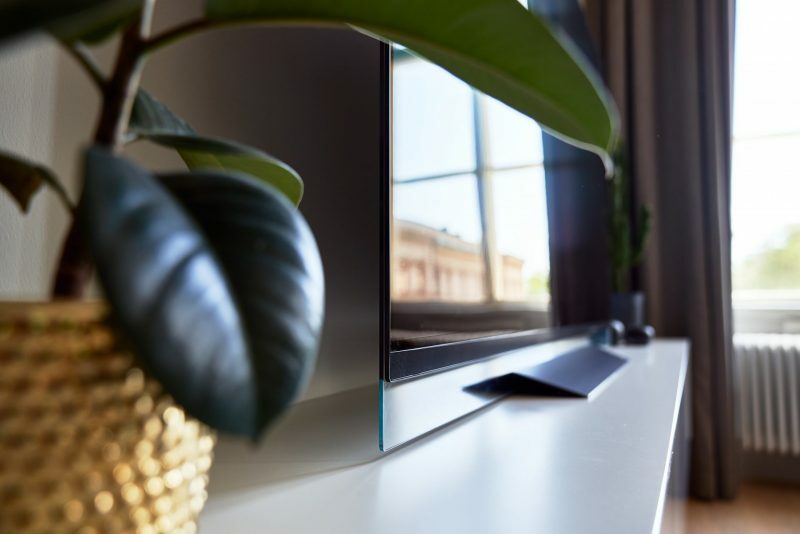 It doesn’t take long to determine that the Philips has all the familiar OLED qualities, and those accustomed to a typical LCD display will experience a huge transition! The contrast is completely outstanding with a wide range from the blackest black to the brightest light. The light is completely evenly distributed across the screen, without any light spot blemishes. The colour rendition is entirely unaffected by the viewing angle. 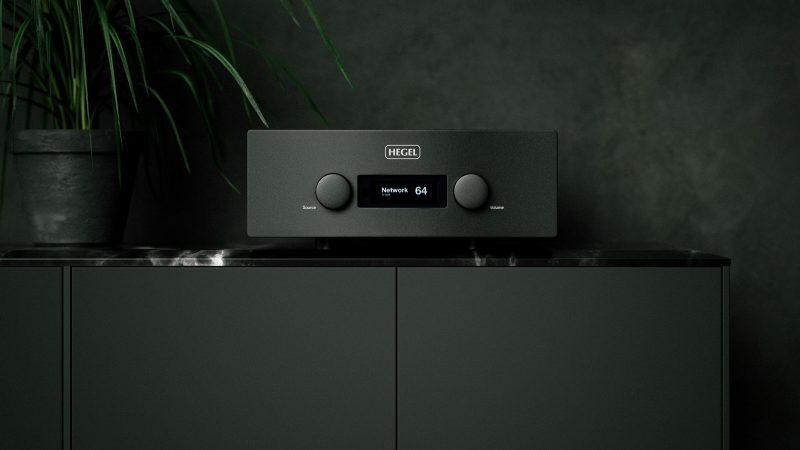 The high contrast features make the 55POS9002 a perfect match for movies and shows, preferably in a slightly darkened setting for a cinema feel. The downside of such settings is that they can be very tiring on the eyes. 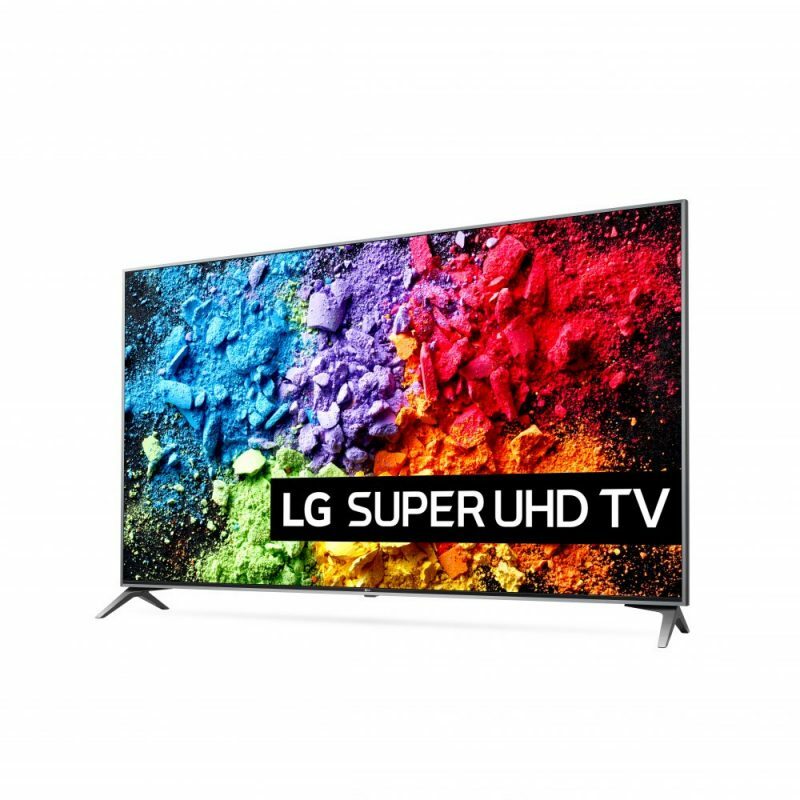 The strong contrast can be tiresome to look at over a longer period – especially when we’re talking about an OLED display with HDR! 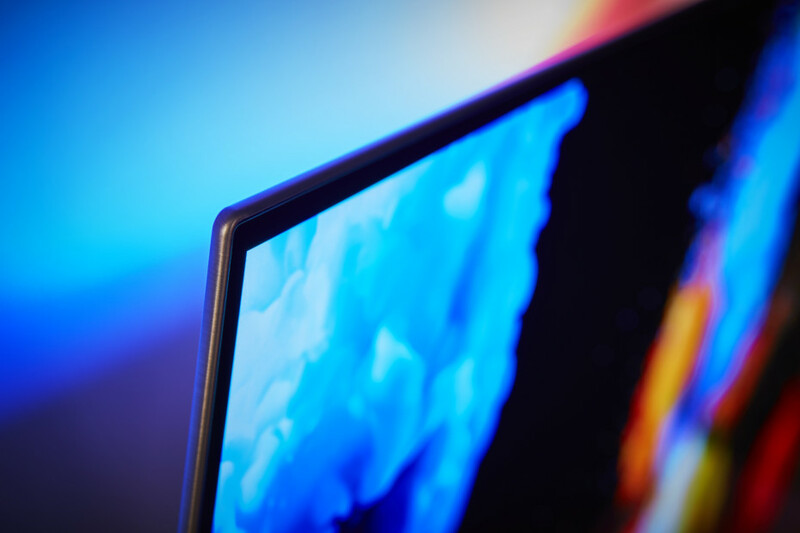 It is here that Philips’ brilliant Ambilight comes into play. To watch a picture with a bias-light in the background is considered more comfortable, and recommended for the sake of the eyes. With Ambilight, you get a coloured light that’s synchronized with the action on the screen. Philips has honed the technology ever since it was introduced to the first flat screens in 2004. 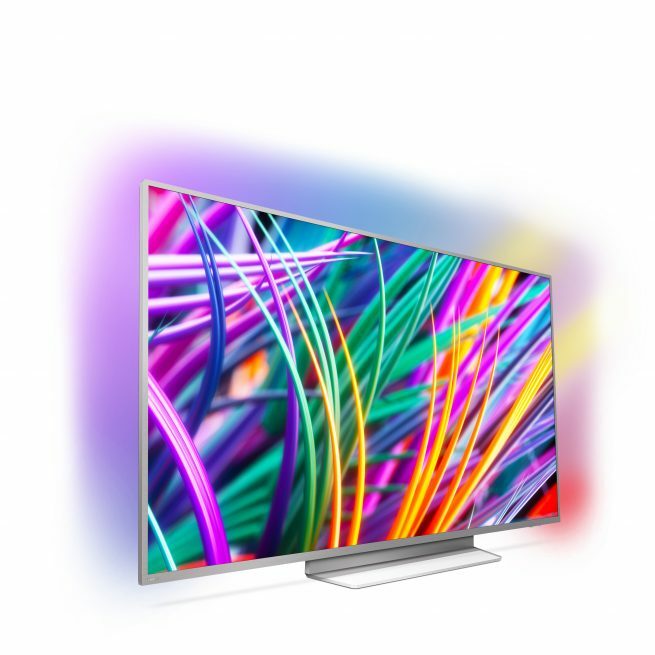 The OLED model features extra powerful colour LED projectors with increased range on the top and sides. Together, they project a coloured light that (depending on a distance to the wall) is three times larger than the screen itself! The Ambilight system has several modes, and we like the setting “vivid” best, since this complements the plot in the best maner. Ambilight transfers the mood of the screen to the entire room. It performs well with the contrast-rich OLED screen and feels more soothing on the eyes. Video content with increased contrast, the so-called High Dynamic range, is the hottest news we’ve seen on the TV front in recent times. The new video standard offers increased contrast and a wider range of colours, and makes the TV images literally glow with life. 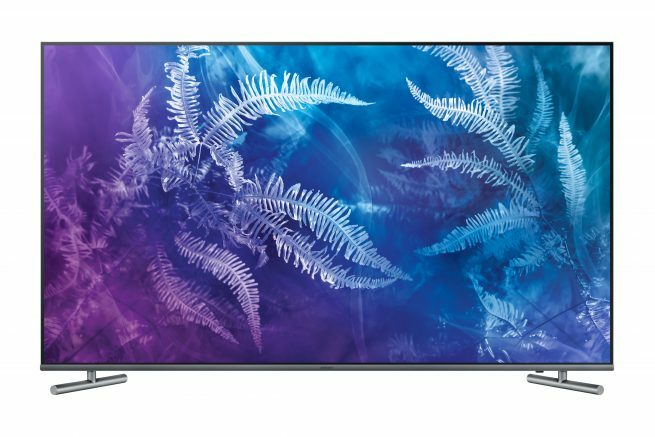 We test all TVs that come in with real HDR material from Netflix and UHD Blu-ray. 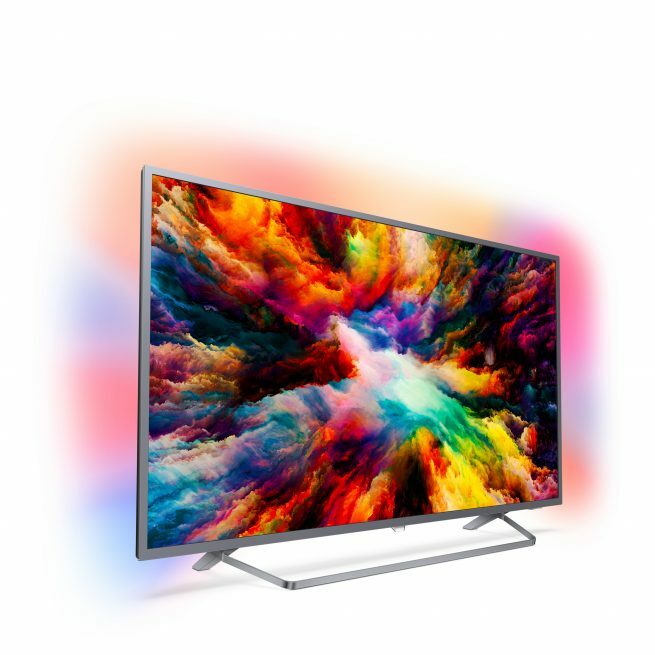 Like most OLED displays, Philips 55POS9002 has a huge advantage in displaying HDR. With an intense black level as the backdrop, all details appear extra prominent and the sparkles in light effects like sunlight, flames and explosions dance across the screen. Compared to an LCD screen, which must elevate the back light (and thus lose some contrast to the image surface) each time there is a light event present in the image, the OLED manages to preserve the contrast pixel by pixel on the entire screen. We can then live with brightness not on par with a heavily trimmed LCD screen like the Samsung Q9F. Unfortunately, the Philips’ screen lacks support for Dolby Vision. DV is not yet as prevalent as the open HDR10 standard, but has some advantages picture-wise (frame by frame contrast control). This is visible in comparison to LG OLED55B7V on appropriate Netflix content like The Defenders. The LG screen manages to extract more details from dark sections at the same time as there are more shades in the bright sections. The headlights on Iron Fist’s Mercedes is a good example: On Philips, you only see the light, while on the LG, you see both the light bulb and reflectors. Dolby Vision makes all the difference. The Philips monitor comes with “expert mode” ISF Day and Night, but beyond this has limited calibration capabilities. Here are only 2 point white balance, and no full colour calibration (Color Management System). It is therefore difficult to correct any deviations in the greyscale and calibrate it 100% to perfection. There is no possibility of copying settings to multiple inputs (or Netflix). However, the Philips 55POS9002 has a good colour decoder that ensures good colour accuracy. After adjusting, we ended with an average delta-deviation of 1 in the Calman Colorchecker, which is an excellent result. The Philips 55POS9002 does not have the same expensive sound system as its predecessor 901, but sounds pretty reasonable. 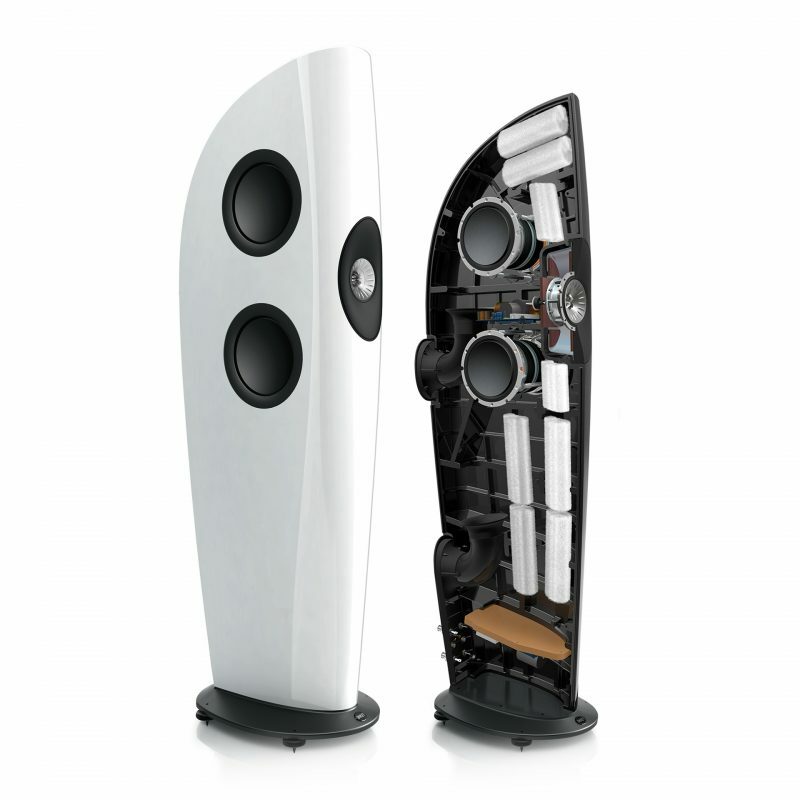 The speakers face downwards with an extra bass speaker on the back. 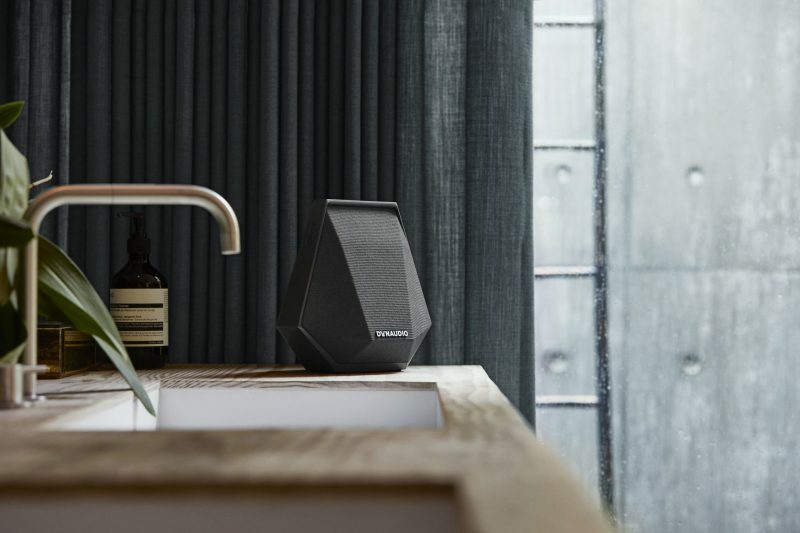 The sound is both strong and clear with clear voice rendition and good foundation. 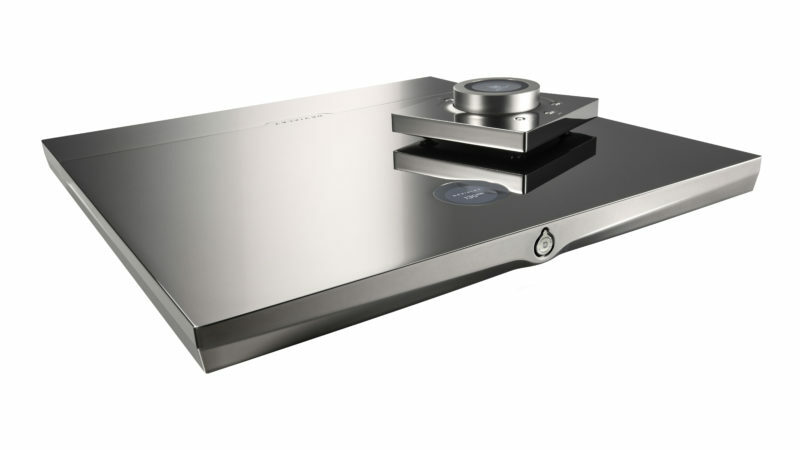 The Philips can also handle quite high volumes before it sounds pressed. All in all, the sound is approved, but 55POS9002 like all other TVs will do well with an added soundbar. 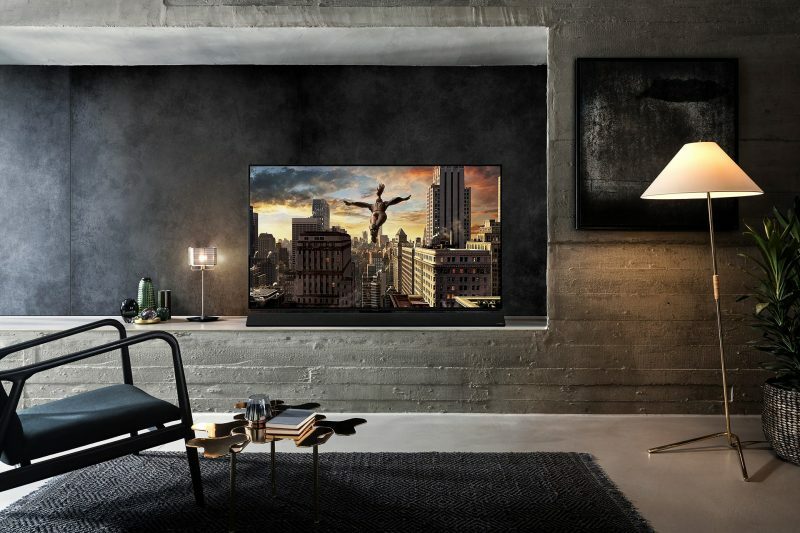 The latest OLED screen from Philips offers a rather unique picture experience. 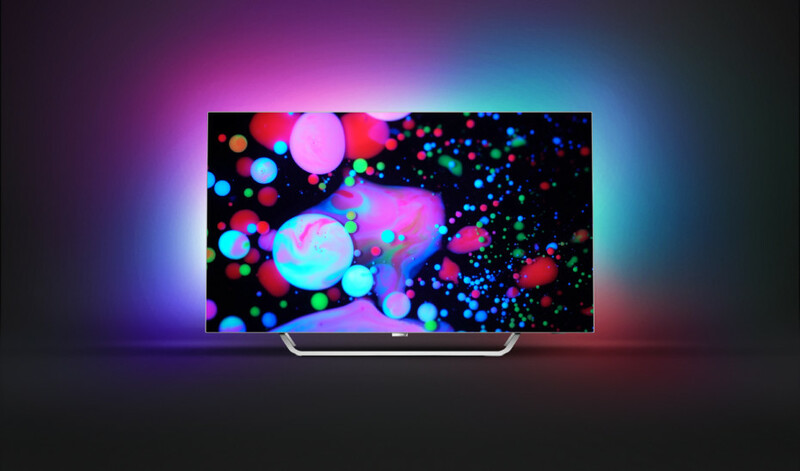 55POS9002 has superb contrast and sparkling colours, and this is before you have turned on the Ambilight! The projection of colours on the wall behind provides an alluring effect, increasing immersion and providing less strain on the eyes. Overall, the Philips display provides one of the most beautiful picture experiences one can achieve right now. One of the best TV purchases you can make right now. 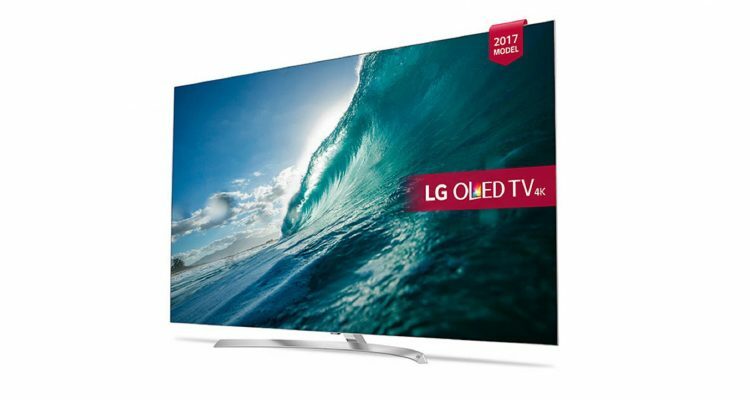 LG’s affordable OLED55B7V is one of the best television purchases you can make right now. With this Philips model, we take a noticeable step up on the quality scale. Top scorer from Sony costs a little more than the competition, but takes the lead for the picture it delivers! 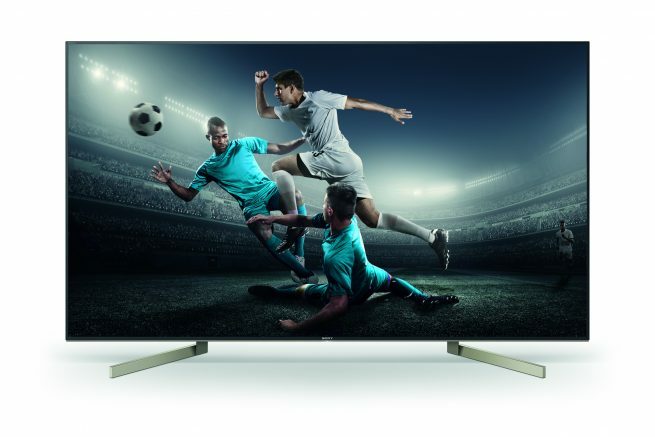 With 65Q6F, one gets many of the details from Samsung’s top models in a less expensive package.